big wave kiteboarding season had arrived. After dropping a car at Tunnel we arrived at Riley Beach. We took the short trail through the woods and as the trees opened up and I saw the water my adrenaline started pumping. The high waters left little beach for launching our kites but it was enough. With some trepidation we geared up and hit the waves. The wind was steady out of the north. Waves were waist high to head high and above depending on how far you ventured out. I hadn’t seen conditions this hairy since last October at HSP. 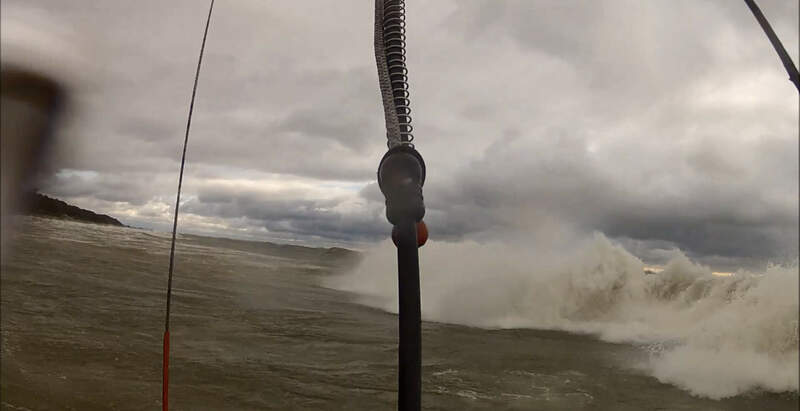 Unfortunately my kite cam battery died before I got on the water since the GoPro point of view in the video does not do the size and power of these waves justice. 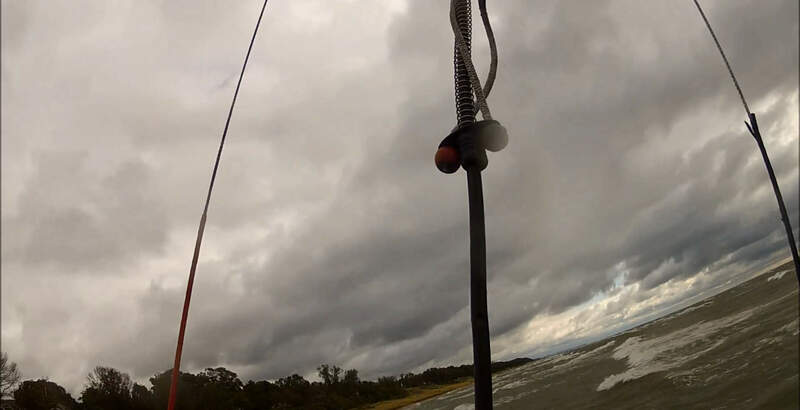 Half way through the downwinder I realized my kite wasn’t fully inflated when it waffled, inverted, and glided to the water. Luckily it popped back up right away but knowing the kite wasn’t stable definitely made me more cautious the rest of the trip. We arrived at Tunnel Park a half hour after we started. There is no open beach between Riley and Tunnel due to high water levels so if you have gear problems they are definitely magnified without a safe place to land. I was glad to get off the water but at the same time wanting to ride a little more. Below is some video from last Sunday from the helmet cam. 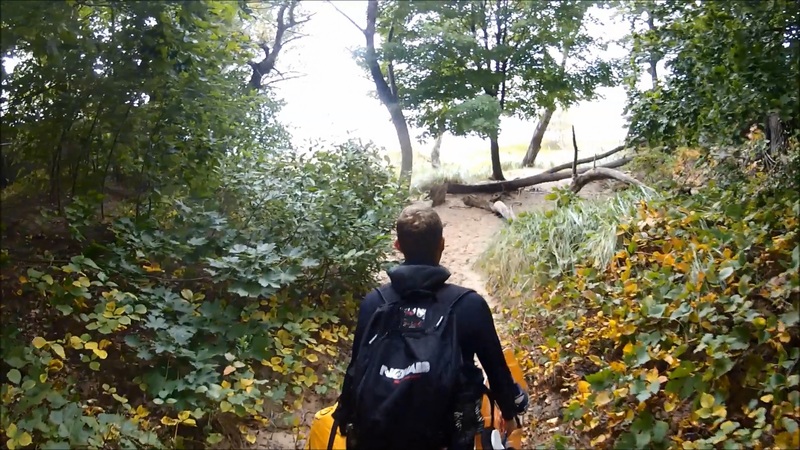 Lake Michigan Kiteboarding – Riley Beach to Tunnel Park from Michigan Dawn Patrol on Vimeo. Michigan Dawn Patrol is a kiteboarding and watersports photo and video blog focused on Michigan. This blog gives us something do and keep the stoke alive until the next wind blows! Share, comment, and subscribe to stay connected to the Lakeshore.